Testo is a world leader in the development and manufacture of high quality, hand-held test instrumentation, made to measure many parameters. Testo offer excellent service from start to finish; offering technical advice and support, product demonstrations and training. Within the Pharmaceutical industry there are certain refrigeration requirements in transport and the process of the cold chain between the manufacturer and the customer may under no circumstances be interrupted. With the brand new Testo 184 dataloggers you can monitor temperature, humidity and shock every step of the cold chain, they are the blackbox for sensitive freight. The data monitoring system Testo Saveris measures the temperature and humidity values of sensitive goods and products in the environment, in processes and during transport. The easy-to-use measurement system delivers safety and savings in time and costs thanks to automated measurement data recording. The system is suitable for use in mobile applications, such as during the transportation of pharmaceuticals. Visit Testo on stand 16 to find out more on the full range of Thermal Imaging Cameras, Data Loggers and Multi-Function Instruments. 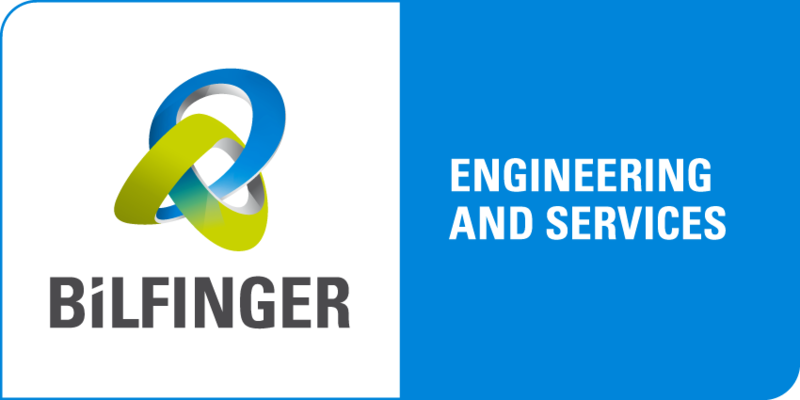 Like no other company, Bilfinger brings together two complementary characteristics: engineering competence and service mentality. For industrial companies, the energy sector and users of real estate and infrastructure, we are setting standards with our performance in countries throughout the world. High quality, technological competence and extensive experience are the foundations of our success. Everywhere we work, we ensure that our clients can concentrate on what they do best: their core business. Through their commitment, the 70,000 people at the engineering and services group help make daily life work: they design and finance, maintain and repair, build and operate. Within the pharmaceutical and medical devices industry, Bilfinger HSG Facility Management is a reliable partner for many sector clients including one client that spans Gross floor area of 180,000 m2, of Production and administrative buildings, on 36 sites and over 14 countries. Here in Ireland we have undertaken a successful first generation outsourcing transformation process whereby Bilfinger HSG now deliver to one client, Facility Services & Production Maintenance, including staff located in Cork and Limerick, on site production support 24 hr. / day, Monday to Friday; with 24/7 Security & Reception Services, Approved Supplier & Subcontractor management and energy and sustainability support and delivery. GSH Group PLC is a leading provider of Energy & Facilities management services operating from a network of offices in Ireland, Great Britain, Mainland Europe and the USA. GSH Ireland Ltd. is a subsidiary of GSH Group plc. The Ireland operation was established in 1993 and is now one of the largest Energy & Facilities Management companies in Ireland. GSH differentiates itself in its markets by self-delivering approximately 85% of its technical services through our own engineering staff. Our expertise is based on substantial experience and knowledge of customers’ requirements. You can be confident that GSH will deliver quality, responsive and customer focused technical services. We offer flexibility and a substantial managerial, commercial and technical backup. GSH is highly experienced in working in a range of market sectors, including Banking, Industrial, Retail, Media, Healthcare, Manufacturing and the Public Sector. Our scope of services ranges from the provision of Hard FM services solely, to an all encompassing Total FM Solution including an innovative energy management service which provides guaranteed savings on energy expenditure. GSH’s core strengths lie in its professional skills and cutting edge technology. As the sole distributor in Ireland for MWM, Edina is renowned for delivering world class projects to all sectors including Pharmaceutical, Manufacturing, Agricultural, Industrial, Leisure, and Public. As a specialist in CHP (Combined Heat and Power), anaerobic digestion and the generation of electricity from biogas, Edina is well placed to offer the most cost effective solutions. Edina has full design and construction capabilities with manufacturing in Ireland to all UK and ROI Regulations. The Edina MWM packaged unit is the engine of choice for all gas applications as its high efficiency and reliability guarantees maximum revenue for operators. Edina is located in Dublin (HQ), Cork, Lisburn and Derry, offering true national support to ensure high availability of plant. Some of our projects which range from 250kWe to 3.3MWe can be viewed on our website, including a new full turnkey project supplying a 1560kWe Natural Gas CHP Unit and associated equipment to a Pharmaceutical Manufacturer in Cork. In an era of great challenges to the energy supply and the necessity to reduce manufacturers’ costs and carbon footprint, we would welcome your questions as to the benefits of this technology. SL Controls are experts in the area of Equipment System Integration and System Support. We specialise in assisting our customers, including many of the world’s top multinational companies in the medical device, pharmaceutical and food and beverage sectors, achieve their Six Sigma and OEE targets. Over the past 11 years we have grown our business from a local based enterprise into an international business with additional offices in Dublin, Limerick and Galway. We pride ourselves on our expertise in industrial IT integration and regulatory compliance in support of global end users, OEM’s and Technology providers. Visit www.slcontrols.com, or email info@slcontrols.com. Systech International is the global leader in Brand Protection technologies with solutions that address the needs of Enterprise Serialization, Authentication, and Track and Trace, serving a wide variety of industries ranging from pharmaceutical, biotechnology and medical devices to food and beverage and healthcare. Systech has offices in the United Kingdom, United States, and Belgium, as well as dedicated sales and technical support teams serving customers in more than 26 countries worldwide. As global supply chains become more complicated and counterfeiting threats continue to grow, Systech will continue to be at the forefront of brand protection innovation. Visit www.systech-tips.com, or email info@systech-tips.com. Prolift Handling Ltd are the largest distributor of lifting and material handling equipment in Ireland. We supply products such as electric hoists, pneumatic hoists, cranes, height safety equipment, rigging equipment and material handling equipment. We also speicalise in the supply of stainless steel and clean room lifting equipment. We have completed projects for companies such as Wyeths, ESB, Intel, Pfizers, Project Management, Dairygold and Jacobs. Prolift also boasts the largest service division in Ireland with 6 service engineers carrying out inspections, installations, repair and testing on all forms of lifting equipment nationwide. We can offer significant savings to our customers with service and maintenance contracts. We have the capability of tagging inspected or tested equipment with RFID tags. All Prolift customers have access to our internet based cert system where test certs can be downloaded. Prolift also have a fabrication division who design and fabricate all forms of lifting equipment such as spreader beams, monorails, swing jibs, lifting eyes, material handling equipment and steelwork for cranes systems. We offer clients free consultation services on-site, helping them decide what the best options are available to them for each specific project and quoting accordingly. We have a dedicated sales team waiting to take your call! Four global technical centres, coupled with the experience of specialist engineering teams give us extensive resources and sector expertise. We have a large, world-class portfolio of fluid and motion control products and technologies. We deliver these to our customers, either singly, or in powerful combination, ‘off the shelf’ or customised. Our global footprint coupled with sector expertise and key account management in strategic geographies gives us the ability to support our customers wherever they are. Save Energy 4 You are committed to our goals of surpassing environmental standards by using next generation lighting technology to achieve energy savings, a reduction in solid waste and an improved quality of light while maintaining sustainable growth for future generations. Contact: 021 2307141 for further details, or visit www.saveenergy4you.com. As a recognized leader in the vacuum equipment industry, our customers choose us because of the value that we provide in and around our products. We take pride in differentiating ourselves by being more than just a pump supplier — working closely with our customers to provide ideal vacuum solutions that are mutually beneficial. Drawing on industry experience Busch understands that businesses are looking for the most efficient energy solutions available. Specializing in the design and manufacturing of low energy systems and equipment, Busch aim to help companies reduce energy costs and improve operational quality by choosing the right solution for their premises. For further information please contact Busch on 018321330 (ROI) / 028 38336759 (NI) or visit www.busch.ie. Established in 1937, Calor has been delivering innovative energy solutions in Ireland for over 75 years. Calor is part of SHV Energy, the largest distributor of LPG worldwide, fuelling industry, businesses, vehicles and homes in more than 27 countries. For our customers this provides access to global best practice in energy innovation, tailored by local experts, for their specific business needs. It also means access to a secure supply of fuel, with strategic storage locations throughout Ireland, delivered through Ireland’s largest LPG tanker fleet. LPG stands for Liquefied Petroleum Gas – a very versatile, portable and manageable fuel which is easily stored and delivered in cylinder and bulk tank form, and as it produces far lower carbon emissions than oil, coal, peat and even electricity, it is one of the cleanest conventional fuels available. Calor understands that businesses are looking for the most economical and efficient energy solution available. Calor LPG can offer significant advantages to the pharmaceutical manufacturing sector due to its cleaner burning and environmentally sustainable credentials. The economy and efficiency that Calor LPG offers can make a positive impact on your bottom line, while the reduced CO2 emissions demonstrate your company’s commitment to the environment and can make a dramatic impact on the carbon emissions created through energy consumption for your manufacturing processes. We understand that each business has individual needs. That’s why we will create a complete custom-made energy solutions proposal that’s designed specifically for your company. In addition, Calor customers can enjoy excellent Customer Support, online account management, and the peace of mind that they’ll never run out of gas as a Calor customer with our tank telemetry and automatic top up service. For further information or to speak to a Calor Energy advisor contact our Calor contact centre on 1850 812 450 (ROI) / 028 9045 5588 (NI), email industrialsales@calorgas.ie, or visit www.calorgas.ie. Dalkia guarantee considerable energy savings, CO2 reduction and on-going maintenance savings to its customers. We Design, Build, Operate & Maintain utility schemes using CHP and/or biomass energy sources, as well as heating & cooling networks systems. We work for a variety of industrial & commercial customers, and have extensive expertise within the Pharmaceutical sector as we provide energy performance solutions in line with best practice and cGMP guidelines to Servier and Bristol-Myers Squibb for example (please refer to our website for detailed case studies). We also offer expert Calibration, Condition-Based Maintenance, Laboratory & Refrigeration services. As an Energy Service Company (ESCo), Dalkia organises financing for projects designed to improve energy efficiency and maintenance costs over a 5 to 15 year time period. Our Virtual Power Plant (VPP) service, also called Demand-Side Unit management, enables sites with their own electricity generation or load reduction capability to receive payment for offering electricity demand reduction capacity. This remarkable new offer has already been recognised at the SEAI Energy Show 2013 and was highly commended in the Best Service Provider category. Our services enable companies to make effective decisions about issues that positively affect profitability, and capital invested. Energy efficient solutions, while predominantly cost saving are also an integral part of many organisation’s CSR – Corporate Social Responsibility policies. Organisations looking for optimum value from a service provider need an approach that supports their objectives throughout their processes. By gaining a deep understanding of these processes and focusing on end use efficiency we provide fast, effective solutions to optimise energy usage, maximise savings and minimise the environmental impact within each client’s facility. T.I.D.L is the leading Irish distributor of INSULATION for Thermal, Fire and Noise Control applications supplying commercial, domestic and industrial markets with expert advice and an unrivalled range of products, including the following market leading brands: Rockwool, Lamatherm, Knauf, Isover, Rockpanel, Foamglas, Kingspan, Sager, Isover, Armacell, and Ursa. T.I.D.L offers professional advice to architects and contractors on a wide range of construction related applications. With our own transport fleet we cover the 26 counties with deliveries of insulation and specialist building products to construction sites, builder’s providers, manufacturing facilities, hospitals, chemical & pharmaceutical plants etc. Our sales staff are fully qualified to answer your technical questions on thermal insulation values, fire stopping & compartmentation, noise control solutions and external insulation & cladding. Through our manufacturing division we offer a unique range of Irish Manufactured products including specialist OEM cut insulation systems, profiled roofing insulation, fire rated mortar and barrier systems, noise control absorbers and numerous composite insulation systems. We will advise on specifications and products for compliance with the Irish Building Regulations Part ‘L’Conservation of Fuel & Energy; Part ‘B’ Fire and Part ‘E’ Noise. Yokogawa is a global supplier and innovator of high-quality process control instrumentation, automation solutions, information management systems and engineering services for process manufacturing industries. Innovative, forward looking industries such as chemicals, pharmaceuticals and medical devices are called upon to leverage the potential created by modern automation. A competent automation partner like Yokogawa guarantees high-quality solutions offering optimal value for money. Our engineers design, implement, modernize, optimize and maintain your automation solutions – in a holistic, integrated and sustainable way. Over the years, Yokogawa has successfully realized numerous projects in compliance with good automated manufacturing practice (GAMP). Under a project validation plan (PVP) that follows the V model described in the GAMP guide, experienced Yokogawa engineers deliver outcomes for the functional specification, design specification, implementation, factory testing, and site acceptance testing phases. The verification and test results, including the installation and operational qualifications (IQ /OQ), serve as objective indicators for determining whether project requirements have been met. Yokogawa’s global network of 18 manufacturing facilities, 83 affiliate companies, and over 650 sales and engineering offices spans 28 countries. Since its founding in 1915, the US$4 billion company has been engaged in cutting-edge research and innovation, securing more than 7,000 patents and registrations, including the world’s first digital sensors for flow and pressure measurement. Industrial automation and control, test and measurement, information systems and industry support are the core businesses of Yokogawa. VisionID, founded in 2000 has grown over the past 13 years to be one of the most successful automated identification and data capture companies in Ireland. With clients in various verticals across the globe, VisionID can offer solutions to clients who wish to streamline processes, reduce wastage of time and effort as well as reduce costs. Our company have exclusive partnerships with Cognex and DAP Technologies for the Irish market and have premium partner status with Motorola Solutions and Zebra Technologies. VisionID offer solutions for two key areas, the first is Enterprise Mobility with products such as rugged handheld computers and tablets, enterprise WLAN and software solutions such as mobile device management. The second key area is Trace and Trace Technologies for which we offer barcode label printing solutions from desktop and mobile to industrial, barcode scanning both fixed position and handheld, vision inspection systems for quality assurance from Cognex, RFID technology solutions and mobile cart solutions for mobile full screen applications in your operations. Our company offers a dedicated service centre for sustained support for the long term. VisionID offer market leading experience and professionalism for a competitive price with a proven track record in ROI. 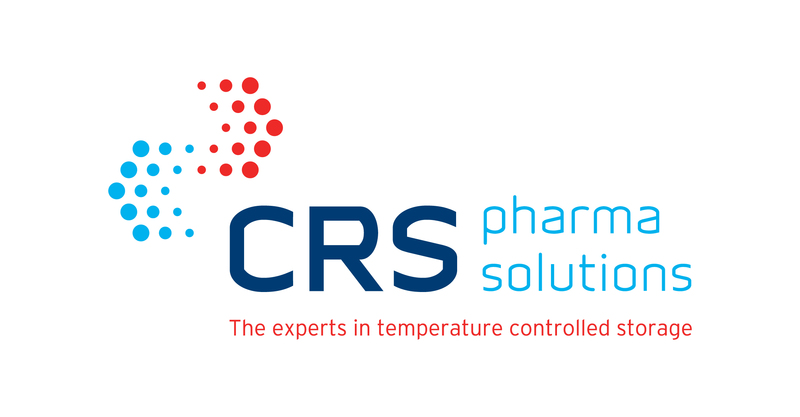 CRS Pharma Solutions have been providing temperature controlled storage to the Pharmaceutical industry for over 15 years have built up a highly skilled and knowledgeable team. Our staff are fully versed in the new GDP guidelines. At CRS Pharma Solutions we have full confidence in the quality and reliability of our products and quality is key. With the ISO 9001 supporting full processes, systems structure, procedures and training. We take our ISO certification very seriously and we know that how we run our business can impact on patient safety. We provide a full range of temperature controlled storage including varying sizes of Cold Stores, bespoke modular flat pack Coldrooms, 2°C – 8°C Chill Stores, Close Control Freezer Stores, Hot Boxes, Incubators, Blast Chillers/Freezers. All of our equipment is designed specifically for storage of high value pharmaceutical product and has passed our internal temperature mapping studies prior to installation. This equipment is specifically used in the pharma industry throughout its life. CRS do not cross use products that are designed for the pharma industry. First use of newly manufactured equipment is available. We are familiar with the challenges faced by the RP’s and QP’s within the industry and our in-house expert validation team are fully trained in the calibration and validation of all equipment, providing all of the IQ, OQ and PQ documentation required. We will work with you to customise our Pharmagrade Storage solutions to your exact specification for hire or purchase – Whatever your project, our team will work with you to provide a solution. To discuss your project and ensure attention to detail and professionalism for every project, call us now on 1890 929 824. McGee Pharma International’s primary focus is on serving the EU and US GxP compliance requirements of pharmaceutical, medical device and healthcare organisations. We deliver a unique consultancy extending across the product life cycle from development to post-market compliance and Pharmacovigilance. Our services include the design and remediation of Quality Systems; performance of multiple types of audits for quality & compliance; technical support for issues that arise on a day-to-day basis, particularly relating to manufacture and distribution of medicines, and bespoke training. We build value for our customers by strategically looking at their business needs to provide compliant solutions and recommendations that are practical, time and cost efficient. Our services are tailored to meet the specific and ever changing needs of our customers to ensure consistently superior results. Our clients range from small and medium sized pharma to the global top 10. Our team of 25 consultants, including a number of former EU regulators, supported by our in-house Quality Technical Specialists, provides practical compliance and business solutions ensuring the effective and efficient delivery of our services against a backdrop of regulatory compliance. McGee Pharma International, a multi-award winning consultancy, focuses on excellence in the delivery of products to ensure patient safety. More chemical and biopharmaceutical producers than ever before are now choosing off-site building solutions to deliver new facilities for the launch of new products. But how different is off-site construction from site-based building methods? How can you quantify the advantages? Whether your requirement is for laboratories, support facilities or process areas, the Portakabin Allspace approach to off-site construction, and its standardised designs for modular buildings, offer chemical and pharmaceutical manufacturers significantly shorter construction periods. This allows you to make investment decisions at a later stage and achieve faster project implementation. To receive your personal copy of the full in-depth report, you can contact us by phone or email, or go to the link on www.allspace.ie/free-reports.html to download the document. If you would like to discover more about how off-site construction can benefit your organisation, you can speak to one of our modular building specialists who would be more than happy to discuss your project requirements in detail. Established in 1988, Codico markets and services Domino industrial Coding & Marking printers to the packaging industry in Ireland. Codico is the partner of choice for many major customers and Original Equipment Manufacturers across all industries and sectors. Codico Distributors supplier Domino was Founded in 1978 and headquartered in Cambridge, UK, Domino has a global reputation for the development and manufacture of coding, marking and printing technologies. Domino’s year-on-year growth is underpinned by an unrivalled commitment to product development, resulting in a portfolio that incorporates complete end to end coding solutions spanning primary, secondary and tertiary applications. Innovative ink jet, laser, print & apply and thermal transfer overprinting technologies are deployed for the application of variable data, bar codes and unique traceability codes onto product and packaging, across many industrial sectors, including pharmaceutical, food, beverage and industrial products. In 2011/12 Domino Printing Sciences plc achieved a turnover of £312.1 million; it is listed in the FTSE 250 share index on the London Stock Exchange. The Group employs 2,200 people worldwide and sells to more than 120 countries through a global network of 25 subsidiary offices and more than 200 distributors. Domino’s manufacturing facilities are situated in China, Germany, India, Sweden, UK and USA. Clarke Energy is the authorised distributor and service provider for GE Energy’s Jenbacher gas engine in Ireland. The Island of Ireland including both the Republic and Northern Ireland is managed from Clarke Energy’s dedicated Irish operation in Newtownmountkennedy, County Wicklow. Clarke Energy is committed to delivering high quality installations and to providing reliable, accountable, long term maintenance support for your generation equipment. Installations meet the highest levels of environmental performance by deploying renewable energy systems and through high efficiency generation from gas. We supply the very highest UN Approved quality packaging components with all of the internationally renowned manufacturers being audited by us as a pre-requisite to us entering any supply agreements with them. The pharmaceutical industry in particular, has a very high standard of quality requirement for all packaging materials and this is where we specialise. We have warehousing facilities in Dublin, Cork and Limerick, guaranteeing the shortest possible lead times coupled with the stockholding of key materials to ensure that continuity of supply is never an issue. Harold Engineering has delivered highly efficient compressed air and commercial heating solutions throughout the Pharmaceutical Industry in Ireland. The introduction of our Ingersoll-Rand Nirvana “Class 0” Oil free range of variable speed compressors was the “first to market” true variable speed drive OIL FREE compressor. With no unloaded running costs its benefits in relation to energy reduction are second to none. Our contact cooled range of compressors offer heat recovery on the Nirvana and fixed speed range. With up to 90% of input power recoverable in space heating and 82% recoverable with the introduction of our ERS units (to heat water) these benefits are currently enjoyed by many of our current customers. Our desiccant range of air dryers offers the peace of mind needed for critical dew point control, achieved in the most energy efficient manner. The introduction of our X4I and X8I system controllers allow us to control multiple compressors installations in an energy efficient manner for both IR and competitor machines. The success of our intelliflow valve in system pressure reduction and allowing maximum usage of storage capacity has also proved a worthy tool in the pursuit of energy reduction. System energy health checks and energy audits allow us to design the most energy efficient solution to our customer needs. In relation to heating, Harold Engineering have over two thousand Roberts Gordon low intensity burners in the market delivering approximately 40% energy savings versus conventional heating systems. A structured approach to energy management delivers energy efficiency savings of 5-10% per year, reducing the cost of energy used even as prices rise. Our aim is to help you achieve your business objective at minimum energy cost. We can do the work for you, show you or train you, so your team can sustain the savings long-term.